The site of this bridge, and the canal here, lies under the link road between the M5 motorway and the A38. 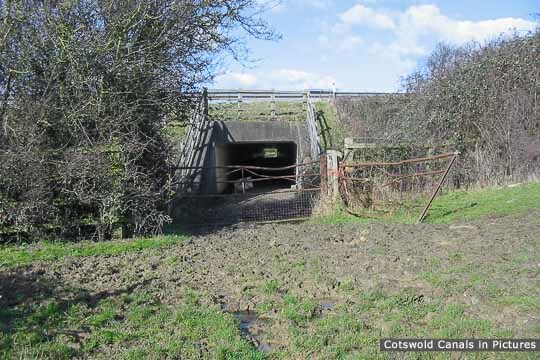 When the canal is reinstated as part of the Phase 1B Restoration scheme, the canal route will be further south, and it is not expected that a new bridge will be built to replace Hyde's Bridge. 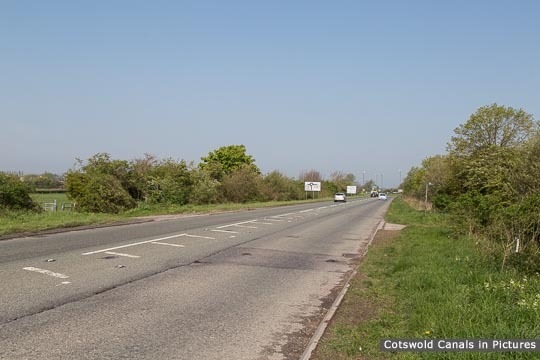 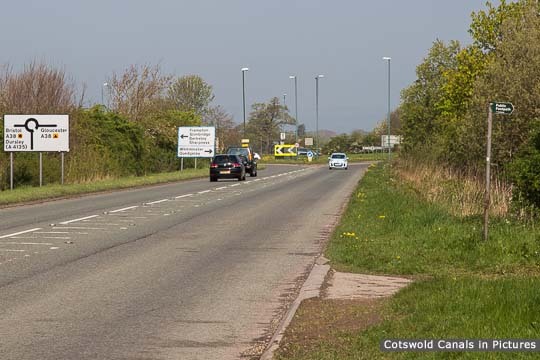 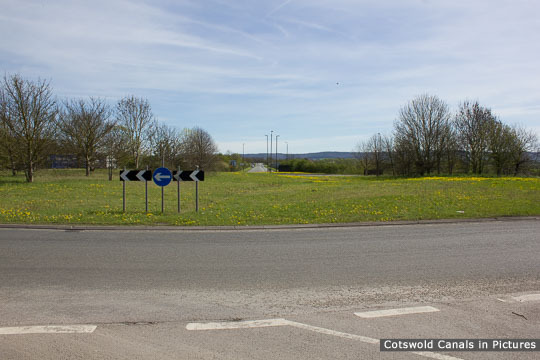 In the distance in this photo is the A38 Bristol Road roundabout at Whitminster. Here used to be a bridge & lock. 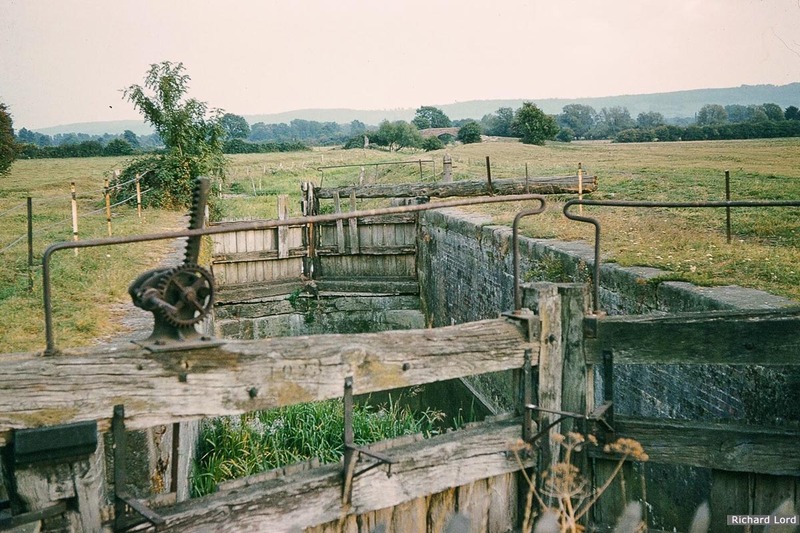 Just beyond the canal reappears.